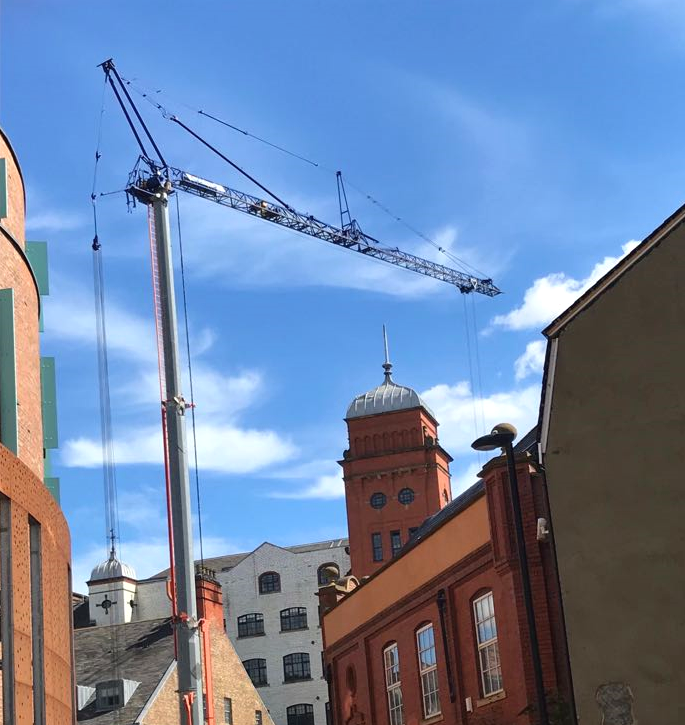 Mantis Cranes was recently in Newcastle to install a Self Erecting Tower Crane on Hotel development in Newcastle. For this development it was a Potain HDT-80 Self Erecting Tower Crane going up in the City Centre. The hotel will be a 6 storey building contacting 77 rooms with associated parking. The project is due to be complete in early 2019. When it comes to any city centre installation we have to work extremely closely with our customers to ensure all operational and safety considerations are taken in to account before the works proceed. With thorough preparation and a site survey by our Regional Project Manager everything was able to proceed smoothly on the day of crane erection. This particular crane is a Potain HDT-80 which has a total capacity of 6,000kg and can lift 1,250kg at a max jib length of 45m. More information for this Self Erecting Tower Crane can be found here. For all Self Erecting Tower Crane enquiries you can send an enquiry directly to us here on the website, email info@mantiscranes.co.uk or call us on 01388 748962.